Krzysztof Żwirblis – curator, art historian, creator of artistic projects, animator of local communities – uses long-term participatory projects as one of his methods. His practice alludes to the tradition of the Akademia Ruchu (Academy of Movement) and the theatrical experiments of Jerzy Grotowski, a figure noted for his openness to others and his attention to their experience and understanding of reality. 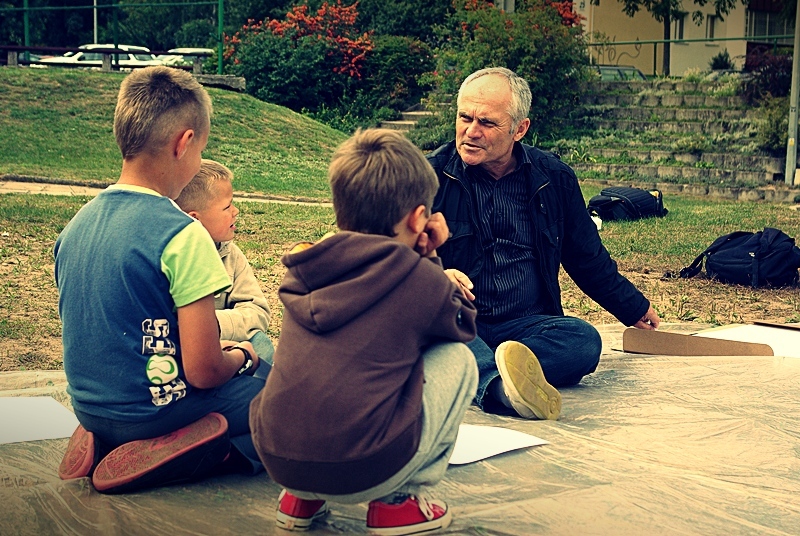 Competences of this type are activated in the creation of his Muzeum Społeczne (Social Museum) project, in which socio-artistic events last many days and are organized together with the residents of a specific district. Muzeum Społeczne is realized through temporary exhibitions in neighbourhood shops, apartments, and clubs; the exhibitions consist primarily of concrete objects and the personal experiences and emotions of the residents associated with the objects. With the idea of blurring the boundaries between the field of art and daily life (see: postartistic times), Żwirblis tries to locate the creative potential hidden in reality, drawing attention to the margins of urban topography, personal collections, and the weight of a prosaic gesture. Muzeum Społeczne also creates a mobile institution based not on a material structure but on fluctuating relations, diffuse authorship, and a non-hierarchical community. The context of the museum does not bring about the transformation of objects into “ready-made” works of art, it asks viewers to perceive the coefficient of art in objects – activating the history and emotions hidden in the objects. Returned found objects again become part of the arrangement of dynamic social histories and emotions, returned to the ecosystems from which they were removed just a moment before. Thus, Muzeum Społeczne can be viewed as an experiment with the form and practice that is synonymous with museum 3.0. The report presented in exhibition consists of objects drawn from previous editions of Muzeum Społeczne and the book Muzeum Społeczne, loaned to the Museum of Modern Art in Warsaw for the duration of the exhibition. Also of essential importance to this report are a walk, lecture, and film screening, organized by Krzysztof Żwirblis. Courtesy Krzysztof Żwirblis.